Iranian President Hassan Rouhani says the election of Michel Aoun as Lebanon’s new president will surely result in a more prosperous future for the country. 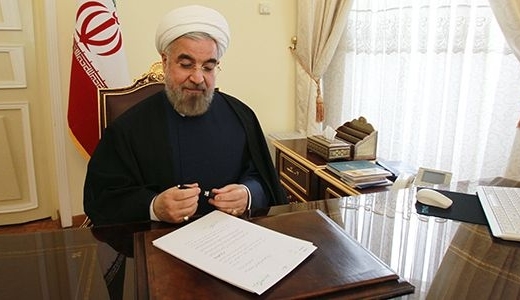 In a message to Michel Aoun on Wednesday, Rouhani extended his sincere congratulations to the 81-year-old retired general on his election as Lebanon’s new president. “Undoubtedly, your position as Lebanon’s president will herald prosperity and power for the country at the domestic and regional arenas, and will symbolize the reinforcement of unity and the spirit of self-sacrifice and resistance of Lebanon’s noble nation,” read part of the message, as reported by Press TV. 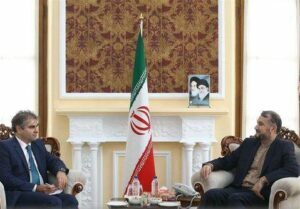 In his message, Rouhani also expressed high optimism that Tehran-Beirut relations would further develop under Aoun’s presidency. Hossein Amir-Abdollahian, the Iranian parliament speaker’s special advisor on international affairs, also noted that the election of Aoun as Lebanon’s president will play a significant role in strengthening the anti-Israel resistance front. Speaking in a meeting with Lebanon’s Ambassador to Tehran Fadi Haj Ali on Wednesday, Amir Abdollahian hailed the election and the end of political vacuum in the country. “Definitely, the election of Michel Aoun will play an important role in the resistance against the Zionist regime, the strengthening of regional stability and security, and the fight against terrorism,” Amir-Abdollahian added. On Monday, Lebanon’s lawmakers elected Aoun as president when they convened for their 46th attempt to choose a head of state. Aoun secured the presidency by winning the support of 83 MPs, well above the absolute majority of 65 needed to win. The election of Aoun as Lebanon’s president put an end to more than two years of political vacuum in the country.